New Award to Anago – Congratulations! Lucky Number 7: On the Heels of Adding a Record Seven Master Franchises in 2013, Anago Cleaning Systems Ranked On Franchise Business Review’s Annual Satisfaction List for the Seventh Consecutive Year. POMPANO BEACH, Fla. – Anago Cleaning Systems (Anago), a leading commercial cleaning franchise with 35 Master Franchises throughout the U.S. and internationally, has announced its ranking in the Franchise Business Review’s 2014 Franchise Satisfaction Awards (FBR50) for the seventh straight year. Now in its ninth year, the FBR50 is the only awards program to rank companies based solely on actual franchisee satisfaction. In 2013, Anago announced a record year with the addition of seven Master Franchises and hopes to add another six Master Franchises in 2014, with a focus on developing in Houston, Austin, Phoenix, Chicago and Kansas City, among other markets. The strength of the brand was not only represented through its growth in domestic Master Franchises, but also by its international expansion into Canada. Having opened its first location in Vancouver in 2013, Anago plans to grow its footprint in Canada by expanding into more markets including Toronto, Winnipeg, Calgary and Edmonton. As further verification to its success over the past year, Anago was listed in USA Today’s Top 50 Franchises for Minorities; ranked 7th on a list of Entrepreneur Magazine’s Top Home Based Franchises for its Unit Franchise opportunity and 10th on the magazine’s list of Top 10 Fastest-Growing Franchises; and named in Franchise Business Review’s Top 100 leading franchises for Veterans in 2013. “2013 was a great year for franchising as a whole. Many of our top companies had the best year in their history, and their franchisee satisfaction reflects that,” said Michelle Rowan, President of Franchise Business Review. For more information, please visit www.FranchiseBusinessReview.com. Anago Cleaning Systems is a commercial cleaning franchise system supporting over 30 Master Franchises and 2,400 Unit Franchisees in the U.S. and internationally. After years of refining procedures and creating duplicable systems created in his large commercial cleaning service, David Povlitz founded Anago in 1989 to help other entrepreneurs open their cleaning businesses. Today, its program sets the standard worldwide in commercial cleaning. Anago was ranked the 10th fastest-growing franchise and #39 on the Franchise 500 by Entrepreneur magazine in 2013, and ranked by Franchise Business Review as one of the best franchises in franchisee satisfaction. 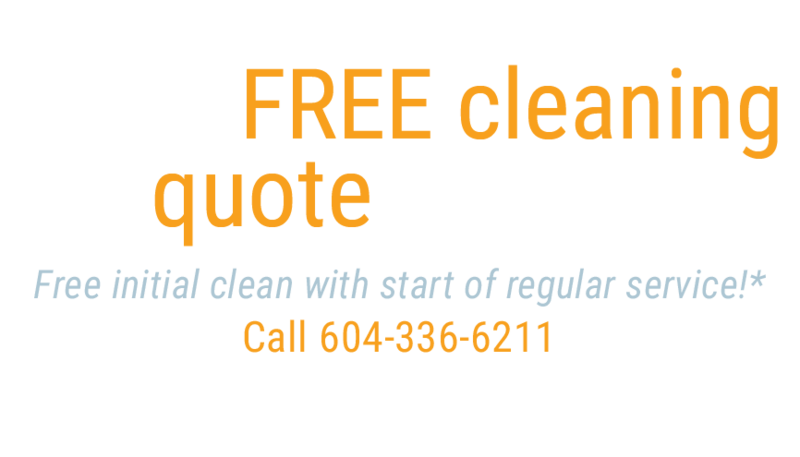 Inc. Magazine has also listed Anago as one of the top privately-held companies in the U.S.
Janitorial Services including but not limited to: Vancouver, Burnaby, Richmond, Surrey, Langley, New Westminster, Coquitlam, Port Coquitlam, Port Moody, North Vancouver, North Vancouver District, West Vancouver, Delta, Maple Ridge, Pitt Meadows, and White Rock, among others. Stay informed about our Special Offers. Commercial Cleaning & Janitorial Services.